If your veterinarian believes your dog or cat may have heart disease, it is important to obtain an exact diagnosis so that treatment can begin. 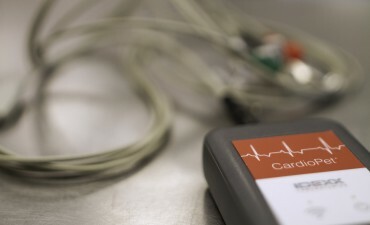 An electrocardiogram is a noninvasive diagnostic test that records the electrical activity of the heart. The heart’s electrical activity is recorded by attaching small electrodes to the limbs and chest wall allowing recording of electrical activity for diagnosis that can safely and rapidly evaluate your pets suspected heart disease. Collapse or lethargy from heart disease.